There’s a new tool in the arsenal of the Benson Police Department when it comes to the fight against opioid abuse — a way to help overdose victims increase their chances of survival. Officers in the Johnston County community have joined other members of law enforcement agencies across the state by becoming certified to carry and administer the anti-opioid drug Narcan. Chief Edwards said the use of Narcan has already had an impact in Benson and looks forward to having officers in the Benson Police Department who join the efforts of other public safety agencies in the town to prevent and stop deaths related to opioids. Chief Edwards said the use of Narcan comes as a precautionary measure for his officers, especially since its use is not among the everyday duties they are required to fulfill. Instead he sees it as a chance to better serve the public when it is needed. Officers were schooled on the reasons behind the use, proper usage of the drug and when they should administer the drug. 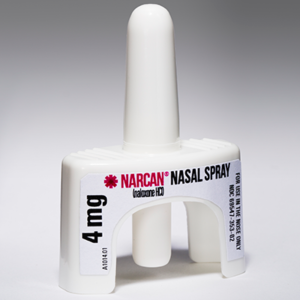 The changes to department policy regarding the use of Narcan or other similar drugs was approved by the Benson Board of Commissioners on June 12, with officers who have been trained receiving training annually to be re-certified in its use. 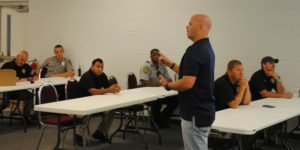 According to class instructor Justin Vause of Johnston County EMS, officers are required to attend a two-hour course, pass an exam and be able to show their proficiency before they can carry or use Narcan.